Web content can serve as a virtual sales agent if the approach is right. Content is, after all, the first thing that people see when they visit a website, so it makes sense to present it in a captivating way. The problem with writing such content is that it doesn’t come easy to everyone. Writing effective web content is an art form that’s requires a degree of knowledge and experience that aren’t immediately accessible to everyone. Fortunately, there are a few things that can help even the most mediocre of writers. The following strategies will strengthen an existing writing campaign or build a strong one from the beginning. Content that attracts visitors all on its own incorporates effective SEO techniques. It emphasizes appropriate keywords at the right times with unique formatting and placement. And it gets indexed behind-the-scenes for broader access. It additionally reads as if it were written for humans rather than search engine spiders. One of the biggest mistakes people make in web content generation is creating content that makes sense to algorithms only. The end-result is usually so unattractive, visitors turn away from it in pursuit of something that they can understand, appreciate, and seriously consider. Of course, things like keyword and tag optimization are on-site SEO tactics. Off-site tactics aren’t incorporated inside website content; however, they require strong content to be effective. As an example, consider link building. As an off-site SEO technique, link building increases page rank when high quality links come from high quality content. Linking to anything but high quality can not only be ineffective in terms of indexing, it can be detrimental. Website content that’s worth reading is worth sharing. According to “The Top 20 Valuable Facebook Statistics”, over four billion pieces of content were shared every day from August 2013 to May 2013. With statistics like that, any content that has a viral nature is a sales force to be reckoned with. Why? On one hand, it appeals to the audience that shares it. On the other hand, it continues to replicate itself in front of an even larger audience without any additional effort at all. Not even the best salesperson can perform at that level. However, like quality content, viral content isn’t easy to generate either. Successful viral content requires a formula that society is still trying to decipher. A clear, definitive path doesn’t yet exist. The good news is that there are a few clues that can lead a dull article straight into a sharing frenzy. Content that is positive, for example, enjoys more shares than content that’s critical or dissuasive. Another characteristic of sharable content is wonder or admiration. 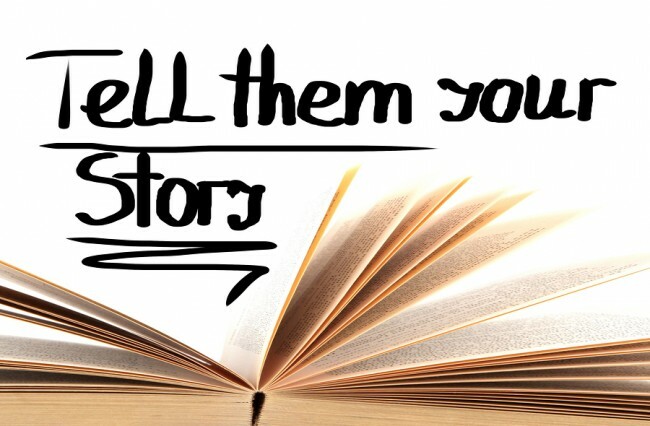 Readers who are struck by what they read are more likely to share it than those who aren’t. Click-bait-type headlines, unique images, and video play a significant role in sharing as well. So much of today’s web content, written to look professional, reads rather stoically. It’s often fact-based, concise, and written in the 3rd person. Such an academic approach is appropriate for educational topics. Everything else can and should invite readers in with a personal revelation of some sort. Personal revelations create a friendlier environment that encourages people to respond in a non-intimidating manner. To understand, consider the encyclopedic entry as an example. Very few people (if any) would feel compelled to comment on the explanation of pencil lead. Even less would share that entry on FaceBook, Twitter, or LinkedIn. Personalizing information suggests that its author is as vulnerable and human as his or her readers are, and it instantly creates a bond of common experiences and interests. There isn’t a single day that goes by without some news of event taking place, whether that event is a positive or a negative one. As a result, there’s always an opportunity to write about “something.” The trick to making that “something” important to readers is making it relevant to what’s happening around them. Fortunately, finding industry-related events to write about is one of the easier processes of content generation. Through news feeds, writers have access to what’s happening around the entire world inside their own social networks, inboxes, and even mobile phones. And when they tie these events into the things that they’re promoting inside their articles, content turns from being informative to important and relevant. With all the different choices out there, choosing the most appropriate approach can be complicated, particularly when some alternatives are more seemingly easier, but costlier to use than others. It’s important to remember that just because something is easy to do, that doesn’t mean there won’t be any consequences. A lot of people once thought spamming was an appropriate approach to marketing, but ISP blocking, a costly consequence, taught them that it wasn’t. Fortunately, writing quality content that’s viral, personal, and relevant will always be an appropriate approach. And when coupled with other tactics like PPC, responsive web design, conversion optimization and/or inbound marketing, it’s the sales agent that every company wants to work with.